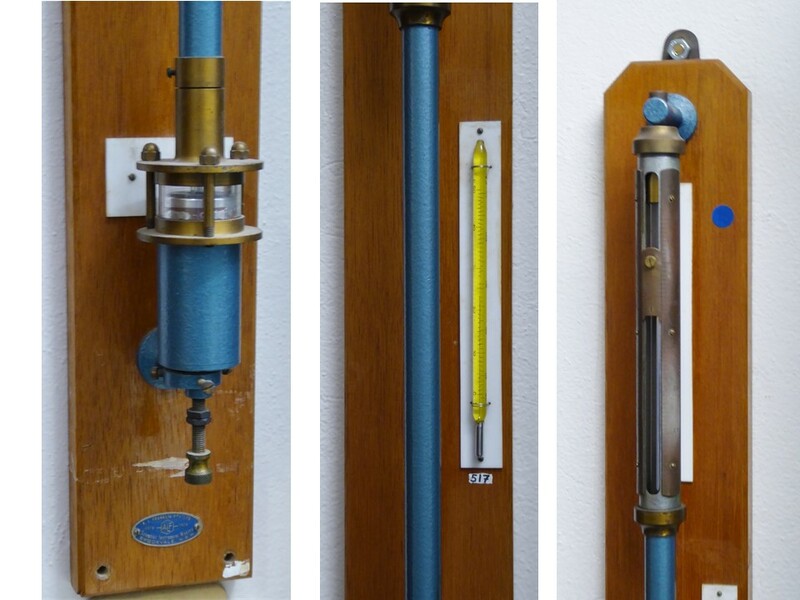 A Fortin style mercury barometer from well-known Australian instrument maker, A.L. Franklin. The column of mercury is supported by the pressure of air on the free surface of the mercury in the cistern at the bottom. Its level can be adjusted to a datum using the screw at the bottom and then the height of the column can be accurately read off using a vernier scale at the top. 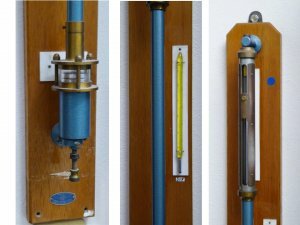 It was used for many years in the Nuclear Medicine Laboratory at Royal Brisbane Hospital to measure air pressure so that doserates could be corrected for atmospheric absorption losses.